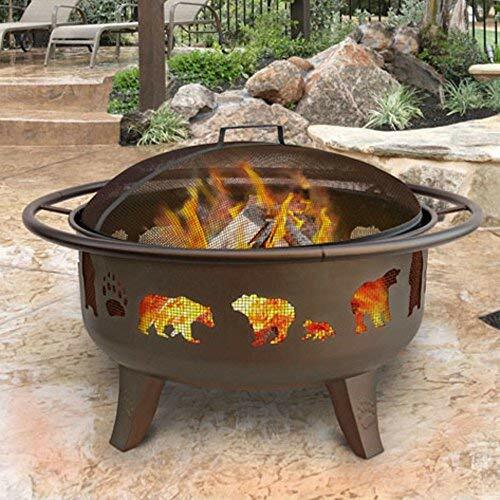 Landmann 30" fire dance fire pit with grate adds north woods charm to your patio or backyard. There's nothing better than sitting around a campfire roasting marshmallows with family and friends. And with this Landmann 30" fire dance fire pit with grate, you can enjoy a roaring fire in the comfort of your own yard. This fire pit adds unsurpassed style to any backyard or outdoor patio. Features attractive bear cutouts for a "up north" feel. Use it as a spot to entertain or even cook up burgers and brats during family gatherings with the included cooking grate. 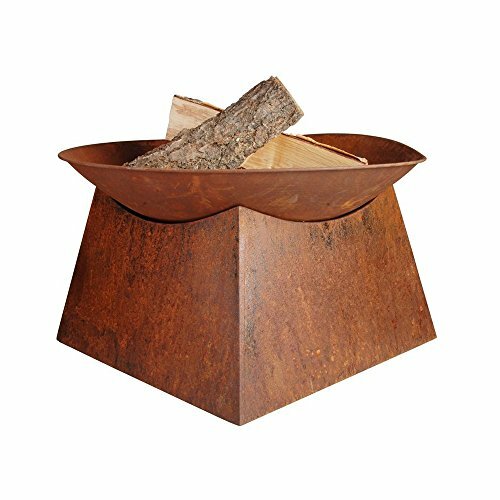 Features: Sturdy steel construction for years of durable use, large 30" fire bowl with 637 sq. In burn area,1" diam. Safety ring / handle for easy transport, full-size enamel grate for cooking burgers, brats or hot dogs, spark screen with handle keeps stray sparks from burning lawn furniture, sculpted legs provide stability and support, stylish bear cutouts for an "up north" feel, includes 37" l. Fire poker, easy assembly, weighs 33 lb. Order yours todayLandmann 30" fire dance fire pit with grate. This beautiful fire pit is simple to set up and easy to use. It comes in 6 pieces that are easy to attach for assembly. The moose and tree cut outs enhance outdoor campfires and add a rustic touch to a campground or backyard. 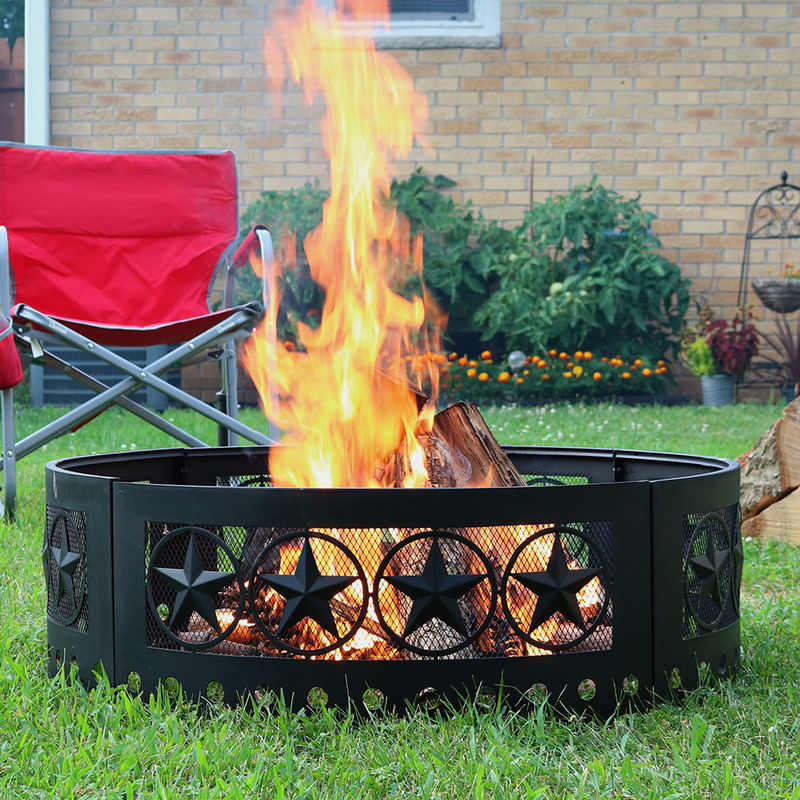 Plus, it's easy to safely contain a fire in style with this fully portable fire pit. Dress up your patio space while staying warm by the fire. The fire bowl is a perfect source of a low flame for roasting marshmallows or just lighting up the evening. 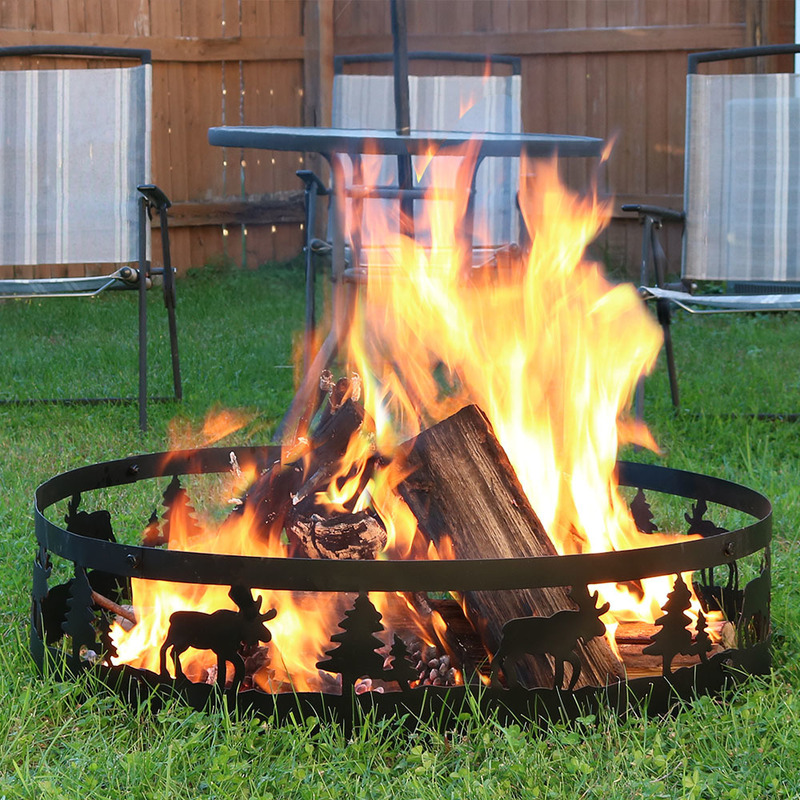 This heavy-duty fire ring is simple to set up and easy to use. It comes in 4 pieces that are easy to attach for assembly. Enhance any campfire with the four star cut outs for breathability and style as the cutouts look amazing when illuminated during an evening fire. Whether in a campground or backyard, safely contain the fire in style. This is fully portable.